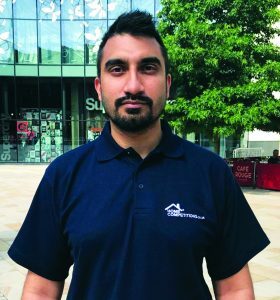 A NEW web-based service providing a single platform for property competitions and raffles throughout the UK has just been launched by Woking accountant Krishan Swali. Entry to the various competitions hosted on www.homecompetitions.co.uk is via a skill-based quiz on the individual competition sites to which HomeCompetition visitors are directed. There, the terms, conditions and raffle ticket prices are displayed along with photos and details of the property “prize”. Tickets can be bought online and receipts and confirmation details are provided. For example, a competition to win a very substantial £3.2 million apartment in Knightsbridge has an individual ticket price of £10.